A mysterious project called the Better Oblivion Community Center is set to debut tonight, and Reddit sleuths are speculating that it's a joint project by Conor Oberst and Phoebe Bridgers. A number of fans have reported receiving brochures in the mail that features today's date (January 23) and the timestamp "11:59 eastern." The phone number listed on the brochure also mentions a "launch party" on January 23. Coincidentally (or not), Better Oblivion Community Center is scheduled to perform on The Late Show with Stephen Colbert tonight. They will also make an appearance on CBS This Morning this coming Saturday (January 26). Bridgers herself tweeted the brochure phone number — 785-433-5534 — last night (January 22), signalling her involvement with the project, while Oberst has been retweeting messages from the recently established Better Oblivion Community Center account. 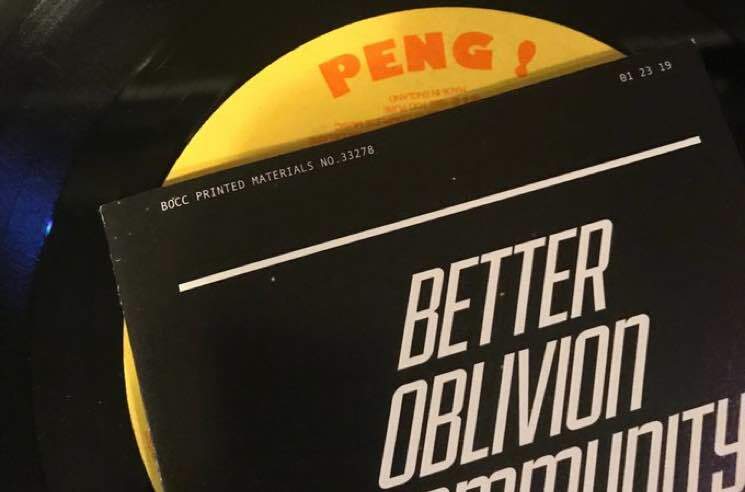 It's unclear exactly what the Better Oblivion Community Center is gearing up for, though the official Twitter account did recently reveal a photo of some freshly pressed vinyl. A new message from the hotline also hints at an upcoming tour, saying that "dates and information for Better Oblivion Community Center meetings across the U.S. and Europe" will be announced next week. Oberst and Bridgers previously collaborated on "Would You Rather" from Bridgers' debut album Stranger in the Alps. Last year, Bridgers put out a collaborative EP with Lucy Dacus and Julien Baker under the boygenius moniker. Oberst, meanwhile, released two new solo tracks in November. Watch some of the strange Better Oblivion Community Centre messages below, and stay tuned for more details on the mysterious project.